Ok, it is official, I can sew with my left foot! 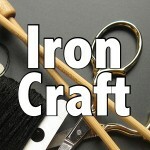 So, I decided to sit down and whip out my Iron Craft project. And I do mean whip out, this took less than an hour. We were to make something to do with beverages for this challenge. I am not a good sleeper, I have problems falling and staying asleep. I have found that having a nighttime routine has helped with this immensely. That routine is to have a cup of Sleepytime Tea with Valerian while reading in bed for about an hour before going to sleep. Because that routine is so important, I take my tea with me when I travel (Typically just throwing a few bags right in my luggage, not the most sanitary thing.). While most hotels have a way to make hot water in the room, rarely do they have honey which is my preferred sweetener for tea. Thus came my idea to make a traveling tea and honey set. 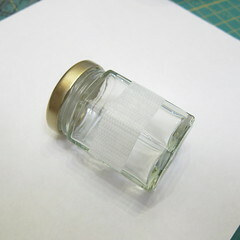 I had saved this little jam jar to use as a candle perhaps, but realized it was the perfect size to this project. It seals tightly, so I don’t have to worry about honey getting all over everything, plus it holds 3oz, so I can take it in my carry-on when flying. 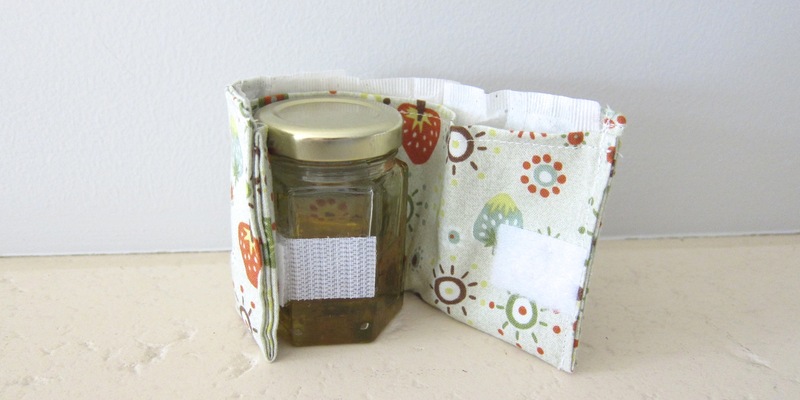 The tea holder helps pad the honey jar to prevent breakage. It’s not a big elaborate project, but it certainly solved a problem for me. 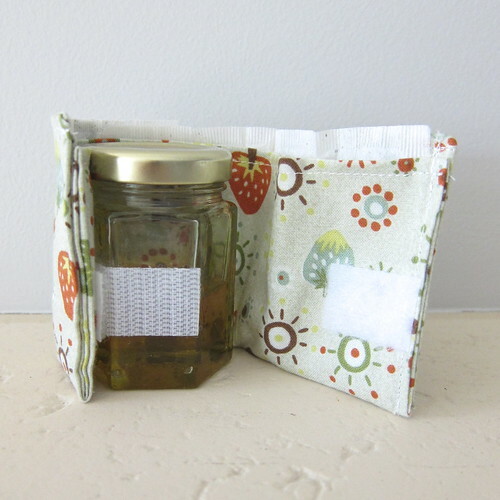 The measurements I give are to fit my jar and my tea bags, but you can easily adapt it. My holder holds 4 tea bags. 1. 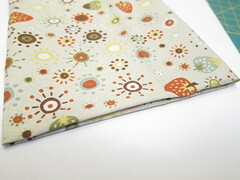 Fold the fabric in half so the wrong side is facing out and it measures 8″ x 6″. 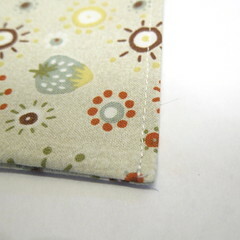 Using a 1/4″ seam allowance, sew the open 8″ side and one 6″ side. Turn right side out. 2. Fold the open side in about 1/4″. Top stitch down both long sides. 3. Fold to create a pocket and top stitch the short sides together (this will close your folded in edge too). 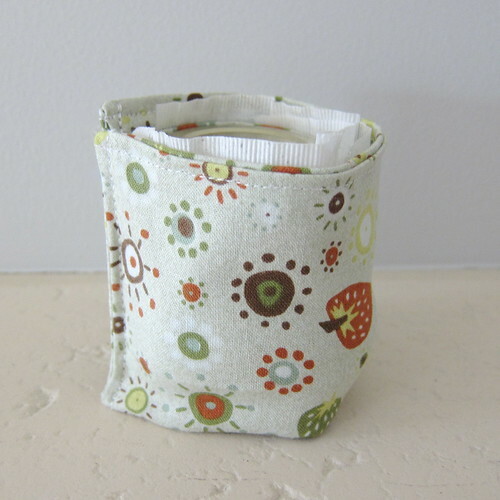 It is folded to be about 3″ tall, so the part folded up is actually about 1/4″ down from the top. 4. 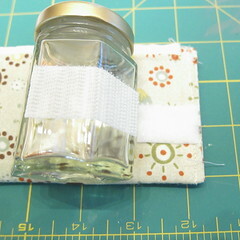 Stick or glue about a 2″ piece of velcro on your jar. Put 1″ pieces of the matching velcro on either end of the tea holder. Make sure to line it up with the velcro on the jar. Now I am all set for my next trip. 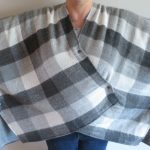 5 years ago by Kat in Challenges , Iron Craft , Projects , Sewing , Sewing Projects | You can follow any responses to this entry through the RSS feed. You can leave a response, or trackback from your own site. YAY–on so many levels. First of all, great project. Personally, I think you give the TSA a little too much credit here to be able to discern this as 3 oz. Anyway, my biases aside, second–I am happy that you were able to complete a project on time considering your trip to the hospital/emergency room. Third, I am glad that you were able to sew as a lefty. So much to celebrate here–well done!